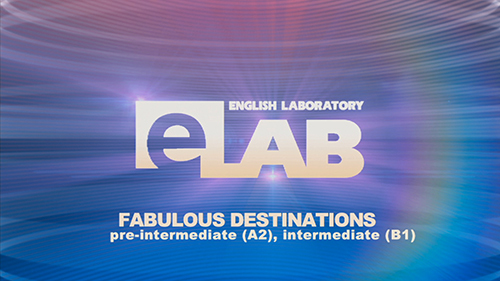 Video lessons “E-lab Fabulous Destinations” include the use of cutting edge technologies. The host of the program, Chris, invites English teachers and a few students from different countries to participate in this program. Pictures of various things, facts or people are displayed on a huge screen. Students watch and name them, explain their purposes and share their experiences concerning those objects. At the end of the discussion of each topic students answer the questions related to it. Thus, they check, how much they have learnt.